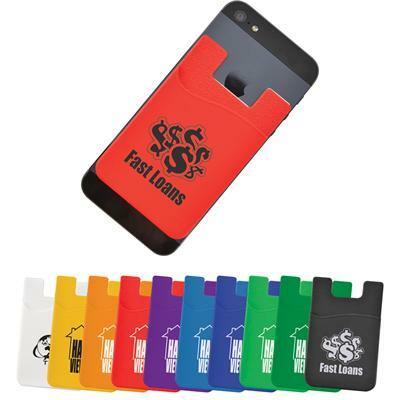 Silicone credit card size holder that attaches to the back of mobile phones / devices. 3M Adhesive. Ideal to hold license, tickets, keys or bank notes.